This entry was posted in Interviews on April 12, 2014 by Jose Antonio. This entry was posted in Fitness, Interviews on February 1, 2014 by SNI. This entry was posted in Interviews and tagged CISSN, ISSN on November 6, 2013 by SNI. This entry was posted in Interviews and tagged Caffeine, hydration, ISSN, Protein, water on March 19, 2013 by SNI. This entry was posted in Interviews on January 19, 2013 by SNI. This entry was posted in Interviews and tagged ISSN on November 9, 2012 by SNI. This entry was posted in Interviews, Sports Nutrition and tagged fat, fatty acids, fish fat, fish oil, ISSN, omega 3 fatty acids on September 12, 2012 by SNI. 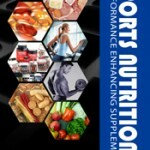 This entry was posted in Interviews and tagged creatine, ISSN, skeletal muscle on September 3, 2012 by SNI. This entry was posted in Interviews and tagged arginine, nitric oxide, NO on July 21, 2012 by SNI. This entry was posted in Interviews and tagged Cirque du Soleil, fitness, gymnast, ISSN, Kristy Lee Wilson on July 3, 2012 by SNI. This entry was posted in Fitness, Interviews and tagged Helga Goebel, paddling on June 17, 2012 by Dr J.